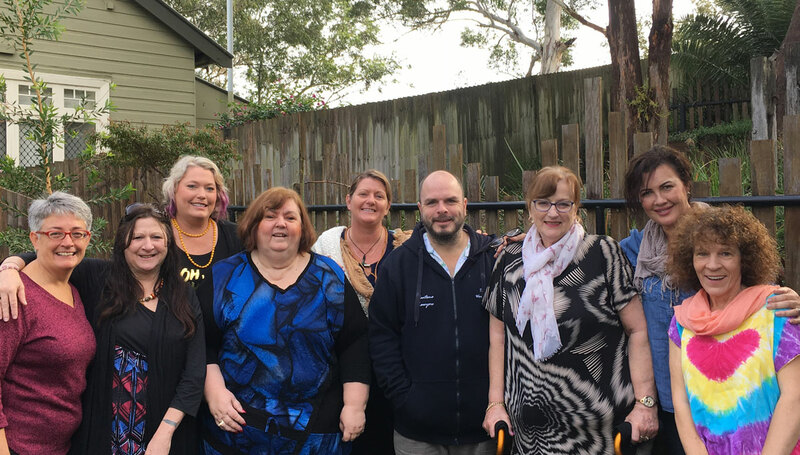 Iris Foundation partnered with Suicide Prevention Australia to train seven speakers to share messages of hope and impart practical ways to prevent suicide in the community. Participants, each with a lived experience of suicide, took part in an intensive two-day training workshop. This grants them accreditation with Suicide Prevention Australia’s Lived Experience Speakers Bureau. The workshop was facilitated at the EIC Cottage by Tracy McCown (Manager, Lived Experience Network) and Tracey Gale (Lived Experience Network member and trained speaker). “We felt incredibly honoured to have been invited to deliver the workshop to this amazing group of people. Throughout the workshop the participants worked with each other to learn more about suicide, the prevention of suicide and their purpose for wanting to share their story. There are currently a total of 10 accredited speakers on the Central Coast. If you are interested to hear from a speaker with lived experience, please email your request to enquiries@irisfoundation.org.au. Suicide Prevention Australia defines ‘lived experience’ as having experienced suicidal thoughts, survived a suicide attempt, cared for someone who has attempted suicide, been bereaved by suicide, or been touched by suicide in another way.